The growth last year pushed the AAMCO network to nearly 650 centers across North America, the franchisor said. In December, the company also reported double-digit growth in total car care sales. 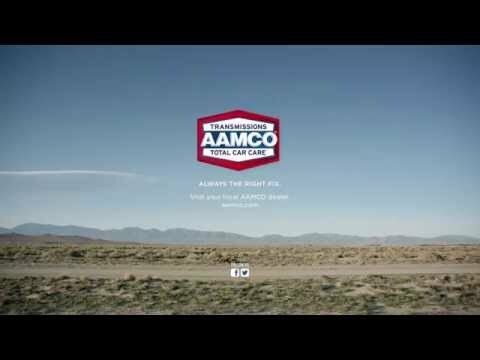 As for 2017, AAMCO said it has received 68 deposits for new franchises. These depositors are in the process of finding a location, AAMCO said, a process that typically takes five to six months, depending on the local circumstances. AAMCO assists its potential franchisees with location selection and said it is flexible on the timing to find the “right” location. Separately, AAMCO said it has adopted a cloud-based point of sale (POS) system to provide greater transparency for local shop owners. The new POS system, developed in partnership with Alldata L.L.C., began rolling out to AAMCO centers in December and is expected to be in all AAMCO shops nationwide by August. AAMCO’s tailored system creates estimates and invoices for customers easier and faster, the franchisor said, driving revenue for franchisees. The system links to AAMCO’s existing customer relationship management and franchise relationship management systems to help franchisees monitor, analyze and manage their businesses. AAMCO went on to say it is seeking single- and multi-unit operators interested providing high quality automotive service. Interested candidates should have a minimum net worth of $250,000 and liquid assets of at least $65,000 per unit. Depending on the real estate site selected, franchisees can expect the total investment to be approximately $227,400 to $333,000 with a $39,500 initial franchise fee. Reduced franchise fees are available for honorably discharged veterans. AAMCO also disclosed recently that Entrepreneur magazine ranked it No. 1 in its car care services category in its 2017 Franchise 500, for the third consecutive year. The new U.S. locations opened last year are in: Mobile, Ala.; Chula Vista and Lakeport, Calif.; Hiram, Ga.; Miami; Wichita, Kan.; Slidell, La. ; Bel Air, Md. ; Pennsauken and Roselle Park, N.J.; Amherst, N.Y.; Norman, Okla.; Bedford, Ore.; Lancaster, Pa.; Denton and Houston, Texas; Fredericksburg and Wytheville, Va.; and Everett, Wash. In Canada, new locations opened in Brampton and Concord, Ontario.